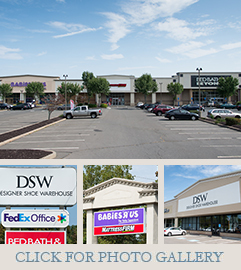 Strategically Situated in the Heart of Norwalk's premier commercial district Retailers refer to as "The Golden Mile"
BUILDING DETAIL: 23,300 SF Shopping Center. 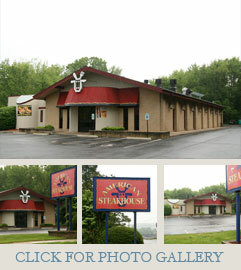 Located on a 2.14 acre-site. 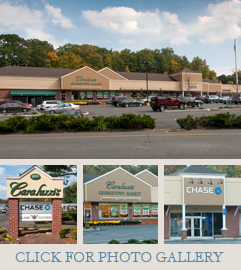 Community Shopping Center well situated in Cheshire's South End, a suburban community within the central portion of the state of Connecticut. Located on Route 10, a two-lane heavily traveled local artery bordered by Southington, Wolcott, Meriden, Wallingford, Hamden, and Waterbury. Highway Access: I-84 to the west, I-91 to the east, I-95 to the south, Route 691 to the north. BUILDING DETAIL: 81,100 SF Shopping Center. Located on a 9.3 acre-site. BUILDING DETAIL: 167,000 SF Shopping Center. Free Standing Restaurant. 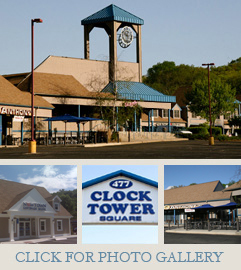 Power Center strategically located in the Heart of Waterbury's premier commercial district. Growing Densely Populated Area with excellent regional access. Fifth largest municipality in the state. Route 69. Two major expressways serving Waterbury, I-84 providing access between Danbury and Hartford and Route 8, access to Bridgeport. 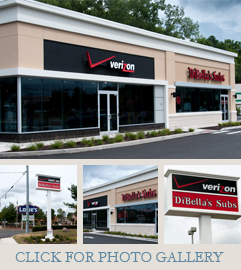 BUILDING DETAIL: 170,310 SF, Freestanding TD Bank and Verizon Wireless. 16 acres. Property is situated conveniently on Route 5, a heavily traveled artery that provides access ranging from the cities of New Haven to North Haven. 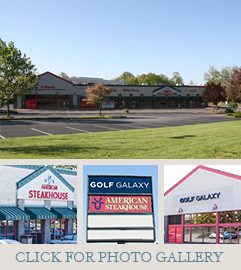 Adjacent Properties include a mix of commercial and industrial businesses. Accessibly located North of Wilbur Cross Parkway. One of the Largest Shopping Centers in Monroe. Generous mix of local retailers, restaurants and other services. 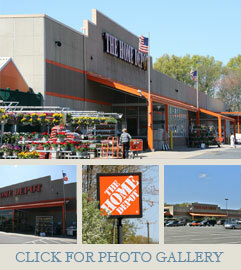 Centrally located 15 miles north of Bridgeport, 12 miles south of Danbury. Bordered by Newtown, Oxford, Shelton, Trumbull and Easton. Upper Fairfield County, on Route 25, connector to both I-95 and the Merritt Parkway or I-84, six miles north. BUILDING DETAIL: Four Single Story Buildings, One Two Story Building occupied by Retail and Office Tenants, One Free-Standing Bank Pad 70,000 SF Shopping Center. Located on an 8.52 acre-site. 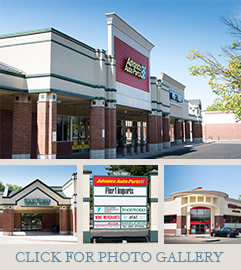 Located directly across the street from the Westfarms Mall in the main commercial district of Newington, where New Britain, Farmington and West Hartford merge in the south central area of Hartford County, Properties offer great visibility from the street. The area also experiences a high yield of traffic daily due to the high population density, and serves as the main shopping district between I-84 and Route 9. NEIGHBORING RETAILERS: Friendly's, Walmart, Stop & Shop, Dunkin Donuts, Denny's, Texas Roadhouse, Best Western Inn and the Hampton Inn Suites. Tremendous Highway Exposure and Visibility . 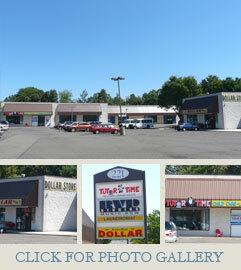 Easy Accessibility, located on Exit 42 off I-95. Main transportation route to Route 1 corridor, 1 mile northwest. 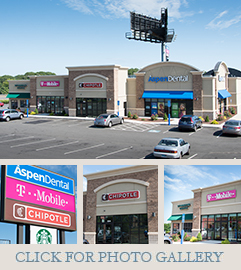 CO-TENANTS: Aspen Dental, Chipotle Mexican Grill, Starbuck’s, T Mobile, Stewarts located on the free standing pad site. BUILDING DETAIL: 10,370 SF Shopping Center. Located on a 2 acre-site. 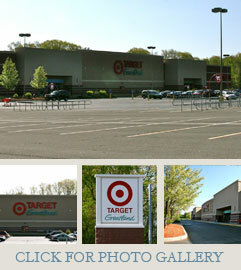 Situated in the northern suburbs of Greater Hartford. NEIGHBORING RETAILERS: Best Buy, Toys R'Us, Old Navy, Office Depot, Pier 1 Imports, Trader Joes, Men's Warehouse, EMS, TJ-Maxx, Petco, West Farms Mall, Burger King, Chili's Bar & Grill, Stop & Shop, Wal-Mart, Costco, Bed Bath & Beyond, Verizon Wireless, Babies R’ Us. 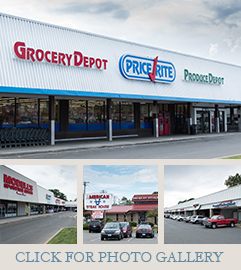 Located in the main commercial district of New Britain in the southwest section of Hartford County, this property offers great visibility from the street. 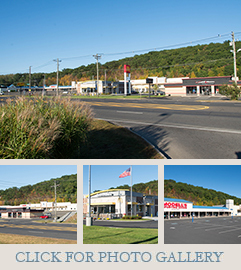 The area also experiences a high yield of traffic daily due to the high population density, and serves the main shopping district on Connecticut's Route 71 between I-84 and Route 9. 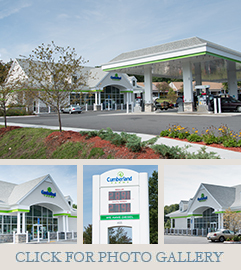 Located in Northwestern Fairfield County on Route 111, which benefits commercially from its easy access to the area roadways such as I-95, the Merritt Parkway, and Route 25/8. Located in Northeastern Fairfield County on Route 111, which benefits commercially from its easy access to the area roadways such as I-95, the Merritt Parkway, and Route 25/8. BUILDING DETAIL: 21,512 SF, Two-story Commercial Building. Located on a 1.21 acre-site. One of the Largest Shopping Centers in Georgetown. 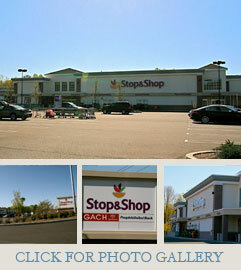 Generous mix of local retailers, restaurants and other services. 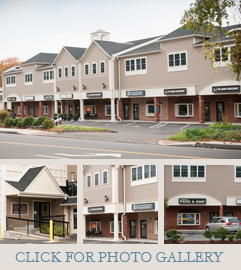 Strategically situated in the geographic center of Fairfield County, at the confluence of the 3 major state highways. Route 7, a major north/south connector between Norwalk I-95 and Merritt Parkway to Danbury and I84; Route 57 which runs southerly through Weston to Westport; and Route 107 running northerly through Redding to Bethel. 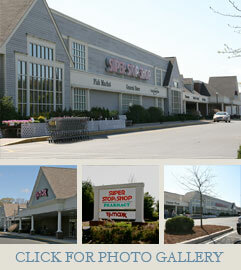 BUILDING DETAIL: 32,850 SF Shopping center.located on 3.8 acre-site. NEIGHBORING RETAILERS: Rite Aid Pharmacy, People’s Bank, Monro Muffler, Clocktower Shopping Center, Starbuck’s, Taylor Rental, Immediate Medical Care, State Farm Agency, Sand Hill Plaza. BUILDING DETAIL: One single story building situated on approximately 1.88 acres. Highway access to the area is via interstate 85. Secondary access would be via Interstates 77 and 485. 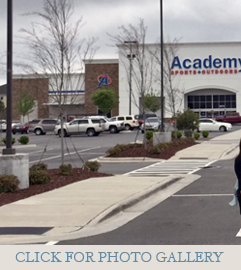 NEIGHBORING RETAILERS: Adjacent to Super Stop & Shop and The Orange Promenade Shopping Center (Burlington Coat Factory, LA Fitness and Staples), across from Kohl's Department Store, Aldi’s, New Walmart Center and Hotels, Best Buy, Target, Lowes, Sam’s Club. BUILDING DETAIL: 36,640 SF Shopping Center. Located on a 2.6 acre-site. 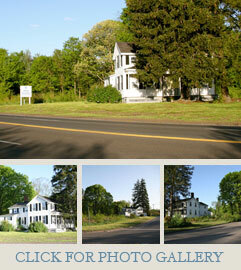 Abutting .25 acre/1300 sf residential home for expansion opportunity. BUILDING DETAIL: 6797 SF Free-standing restaurant. Located on a 1.58 acre-site. Located in Northwestern Fairfield County on the Monroe/Trumbull Border on Route 111, which benefits commercially from its easy access to the area roadways such as I-95, the Merritt Parkway, and Route 25/8. Corner location with traffic signal and great visibility. BUILDING DETAIL: 3,000 SF Pad Site potential build to suit. Located on a .75 acre-site.